Because it's never too late to go the bacon route, Ritz crackers is stepping onto the bacon train, ticket in hand. The Nabisco cracker company has announced that they just released their new bacon-flavored Ritz Crackers with black pepper seasoning. When thinking of cheese and crackers, bacon is definitely a strong possibility when it comes to jazzing up snack time. Though, I'd much rather have heaping chunks of fried salted pork embedded right into the cracker, I guess these flavored crackers will have to tide me over. 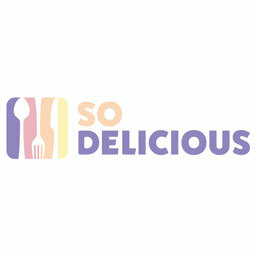 While the novelty value of bacon has wavered to some degree, it's still nice to see some childhood favorites take their own spin on the flavor profile. 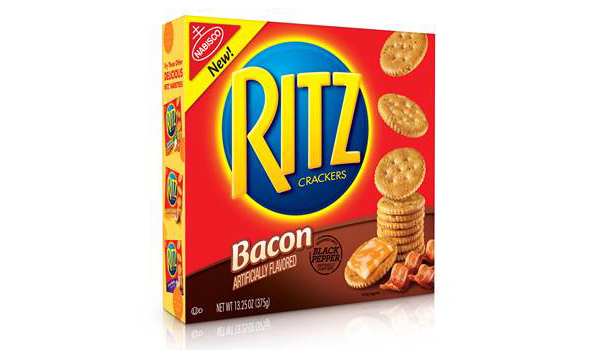 Ritz Bacon is now available nationwide for a suggested retail price of $3.99.